When we published an illustrated step-by-step guide to completing a divorce petition, put together by one of the founders of Intelligent Divorce, Mahie Abey, on this blog in 2012 yes we thought it would be useful - but we had no idea how popular it would be. Since then over 40,000 of you have used the posts to help you complete your divorce forms. We think this reflects the fact that an increasing number of you, and others in your situation, are now completing your divorce paperwork without a lawyer, following the removal of legal aid for most divorces in April 2013. So we decided to make the guide more accessible, by collating all the blog posts about divorce into a free e-book, The Intelligent Divorce Guide to completing your divorce paperwork, which can be easily read offline while you complete the relevant form. We have published it now because, unfortunately, experience tells us that the first few weeks after Christmas is when many couples finally decide enough is enough and decide to end their marriage. We hope the e-book will be helpful if you are embarking on this life-changing – and often confusing - process. And if you are happily not in that position but helping out someone else, please feel free to share this post and link with any friends who might also find it useful. 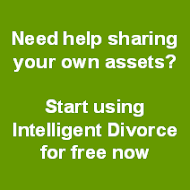 You can download the e-book directly here – The Intelligent Divorce Guide to completing your divorce paperwork - or from our Resources page here. Of course the divorce petition is only the first step: sharing the money is often much more difficult. That’s where Intelligent Divorce comes into its own. Our unique online self-disclosure tools help you identify what and how much you both own, so that we can give you a professional, expert legal opinion (for a fixed fee) on how a judge is likely to share your assets if you did go all the way to a final court hearing. 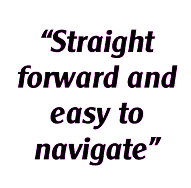 To find out more about our fixed-fee services call us on today 0844 745 8560.